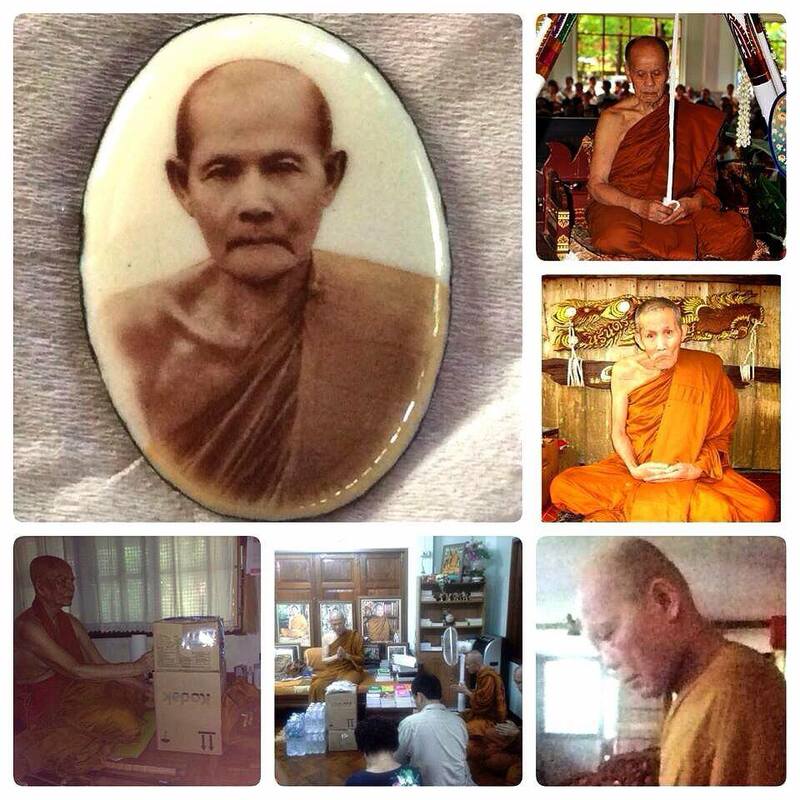 Roopmuen Kruba Boonchum Wat Prathat Don Reung BE2536. Nur Phong. Rian Roon Suthai Phor Than Seng Wat Ban Trang BE2559. Silver material, made 199 pieces only. Serial Number 106. This batch of rian is made from temple itself. Phra Kleebua Yai Fang Takrut Luang Phor Toh Wat Praduchimplee BE2521-23. Nur Phong Kesorn, same material and ceremony as other amulets such as Pidta Jumbo Sorng. It won No1 Placing in Thailand Phitsanulok Grand Amulet Competition on 17th July 2016. It won No2 Placing in Thailand Phitsasanulok Grand Amulet Competition on 17th July 2016. Attached with Silver Waterproof casing. First Batch Lersi Roon Metta Baramee Kruba Oar Wat PhraThad Doi Jom Wai BE2558. Nur Thongdeang, made 108 pieces only. Serial Number 27. Made for Kruba Oar 100 Years Old Birthday. First Batch Lersi Roon Metta Baramee Kruba Oar Wat PhraThad Doi Jom Wai BE2558. Nur Thongdeang, made 108 pieces only. Serial Number 21. Made for Kruba Oar 100 Years Old Birthday. First Batch Lersi Roon Metta Baramee Kruba Oar Wat PhraThad Doi Jom Wai BE2558. Nur Thongdeang, made 108 pieces only. Serial Number 31. Made for Kruba Oar 100 Years Old Birthday. Khunpaen Somboonsapya Luang Phor Chuen Wat Yan Sen BE2544. Green Kerp, made around 200 pieces only. This khunpaen is created by Archan Sanit Kodchakorn and blessed by Luang Phor Chuen. It mixed with ground broken amulets of Khunpaen Wat YaiChaiMongkol as well as many other old amulets from old temples and historical sites such as Phra KoneSmoh, Phra Gru Wat Ratchaburana, Phra Muang Kampaengpetch, etc. It comes with original temple box. Attached with Silve Longya Waterproof casing. First Batch Rooplor Lor Boran Luang Phor Thuad Wat Dee Luang BE2505. Blessed by 108 monks included Archan Tim Wat Changhai, Archan Nong Wat Saikaw and monks from Wat Khao Or lineage on 6th June BE2505. It comes with Thaprachan Amulet Authentic Certificate.